In Ghost Giant, you are the protector of the lonely little boy, Louis. Invisible to everyone but him, you explore his world and use your size to help him and the citizens of Sancourt. Solve puzzles and various challenges that Louis faces in his life. 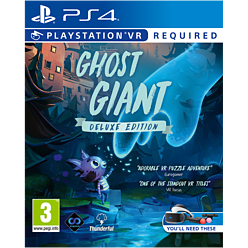 Ghost Giant’s dollhouse design means that you can open individual houses and see the occupants going about their daily lives. They can be spun around or even lifted up with various switches, creating an elaborate and interactive environment to play in. Manipulate the world to make events work in Louis' favour. 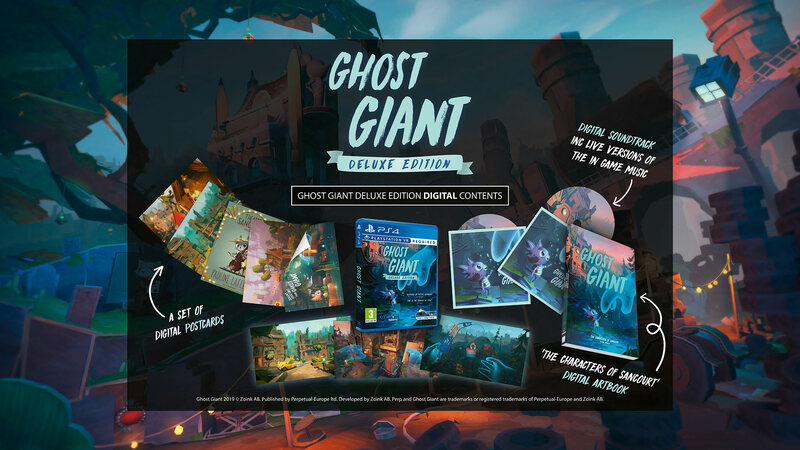 GAME Exclusive – Ghost Giant Deluxe Edition is a UK retail exclusive in the UK, available from GAME stores or Game.co.uk. Invisible to everyone but him, you explore his world and use your size to help him and the citizens of Sancourt. Solve puzzles and various challenges that Louis faces in his life. Lend a hand - a big one! Louis is incredibly lonely. That is until he meets you -- the Ghost Giant. At one point Louis gets cornered by some bullies so it’s up to you to scare them off by finding a suitable item. And it’s in this way that the bond between giant and Louis begins to form. Peek into the windows, open doors and find hidden secrets all around town. Sancourt is full of discoveries for you to make, and people for you to meet. A lush, vibrant town that you just want to peer into and explore.